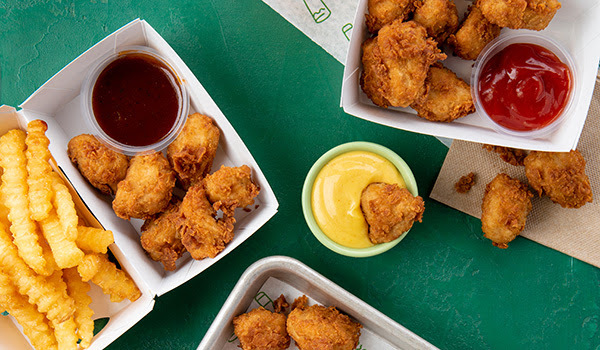 Shake Shack released their brand new Chick’n Bites nationwide on March 1st, and so far they’ve proven to be an incredibly popular menu item. But don’t call them nuggets! Customers refer to them as chicken nuggets, which implies that the meat is grotesquely blended and not 100% chicken. Shake Shack purposefully diverged from this label and meat process to brand their bites as a cleaner, more pure option. I was very interested in the testing process of the Chick’n Bites. I spoke with Mike Maver, the General Manager of the Westport location, who gave me some insight into the Shake Shack lab located on the lower west side of Manhattan. The Shake Shack culinary team brainstorms recipes for the Chick’n Bites and guest chefs come in to give their two cents.  The team sells different versions to consumers and then receives feedback. After a long drumroll, the Chick’n Bites are finally here. What I found most appealing about the Chick’n Bites is that Shack Shack cooks the chicken using the precise sous vide process. This is a cooking technique where the meat is vacuum-sealed, with the required herbs and spices, and then put into water where a device maintains an exact temperature for the duration of the cooking process. The result is an edge-to-edge, evenly cooked chicken that doesn’t disappoint. The Chick’n bites are then transferred to soy oil where they are fried until the perfect crisp to chicken ratio is achieved. The chicken is succulent, tender, and had a slight kick of black pepper as a delicious complement. I would come to Shake Shack for the quality white meat, non-antibiotiotic Chick’n Bites over McDonalds or Chick-Fil-A any day of the week. The only downside to this experience was the barbeque sauce and honey mustard. Both dipping sauces are adequate; the honey mustard has a nice consistency but lacks the vital kick of mustard (ironic), and the barbeque sauce could have been a bit sweeter (I like the salty sweet combo). I wish they offered more flavors to choose from, as many food chains are known built on their signature sauces (i.e. Chick-Fil-A’s Polynesian). I have a feeling that ranch would go well with the chicken and would consider bringing my own bottle next time, or I would ask for a side of the classic Shack Sauce. All in all, these fresh and juicy pieces of chicken are a perfect addition to the already mouth-watering menu. The Chick’n Bites will make your Shake Shack experience all the more enjoyable, even with dessert! Don’t refrain from dipping your Bites in a Black & White Shake… I swear it is good.